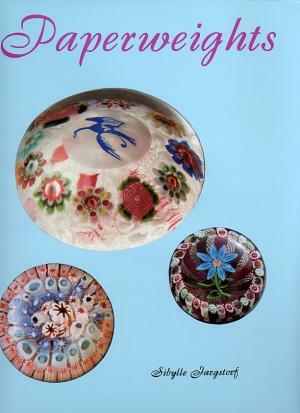 This is a large and comprehensive book about paperweights and the history of paperweight making in Europe. 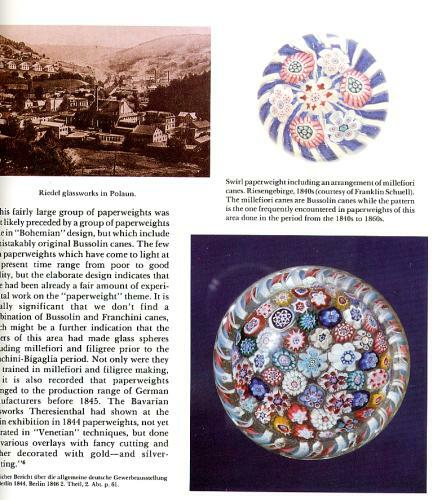 The book traces the history of glass paperweights from their invention in mid-nineteenth century Italy to the current European glass paperweight industry. It includes all of the familiar French factories, but along the way the book also introduces us to many glass producing areas in Central and Western Europe that have not been studied before. The author is a respected independent glass historian. She uses her linguistics and chemistry training to explore the subject in new ways. The histories of European glass factories and paperweight making are presented in the context of the political history of Europe and the economic development of glass. The result is a scholarly approach to the subject that challenges ideas presented in other books and offers new ideas on identifying and dating glass weights. An important reference that introduces collectors to the variety of paperweights produced in all regions of Europe. Included are modern paperweight makers from continental Europe and from Great Britain. 224 pages with over 450 color photographs plus pages from period catalogs and historical documents. Hard bound. 9 1/2" by 12 1/4". 1991.